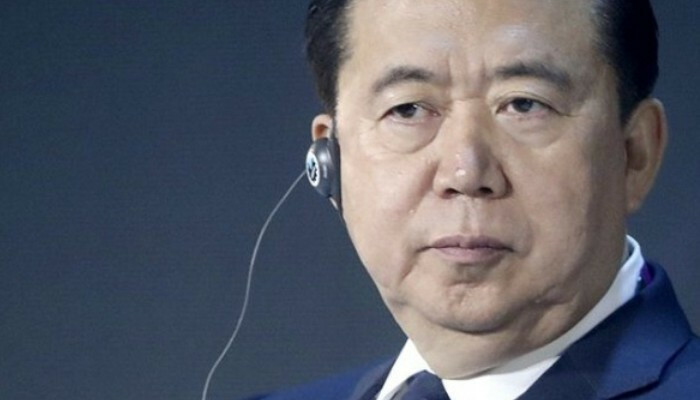 In a truly extraordinary sequence of events, Interpol has announced the resignation of its president after he “disappeared” while in China two weeks ago, only to later be confirmed as detained and under investigation by Chinese Communist Party officials. Meng Hongwei, 64, was elected president of the international policing organization in 2016. He also served as vice minister of public security in China, making regular trips from his home country to Lyon, France, where Interpol is based. Last week, his wife, Grace Meng, reported him as missing to French police, explaining that she had not heard from her husband since he arrived in China the week before. At a press conference on Sunday, she said that the last text message she had received from him was the image of a knife, which she took as a sign that he was in danger. The image came minutes after he had texted her to wait for his call. Many international observers were alarmed by Meng’s election as president of Interpol in 2016, worrying that he might shift the international policing organization’s focus and resources over to investigations favored by Beijing, such as hunting down political dissidents or outspoken tycoons who had fled China.